I used this photo for one of my most controversial blog post. It was a post that I wrote months before publishing. I was thinking my audience wouldn’t receive it. Oh, but they did. I can only hope that every time I publish a post on my website that my audience will receive the message that I am trying to convey. It is still the most shared post on my site. I was in a no judgment zone, and not apologizing for my upbringing. A black girl that sometimes sounds “white” by her peers, and was tired of apologizing for it. 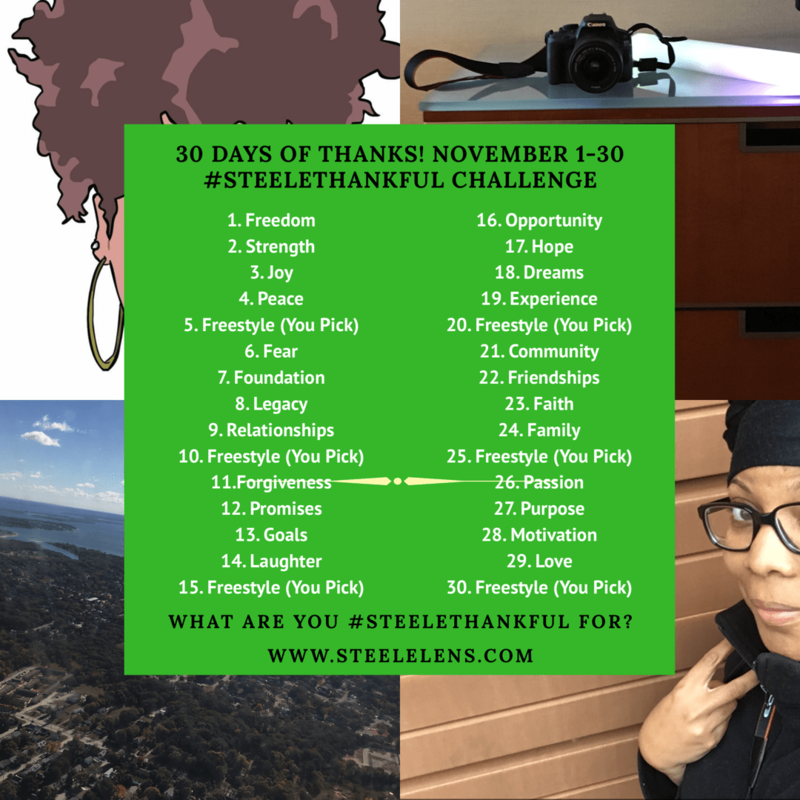 I’m #SteeleThankful for the hope that I have in humanity, and realizing that I am who I am. Unapologetic.